A hands-on program aims to keep prospective medical students close to home. With pigs hearts and cadavers galore, the Pre-Med Immersion Course at Jump Simulation would scare off all but the most serious candidates for medical school. 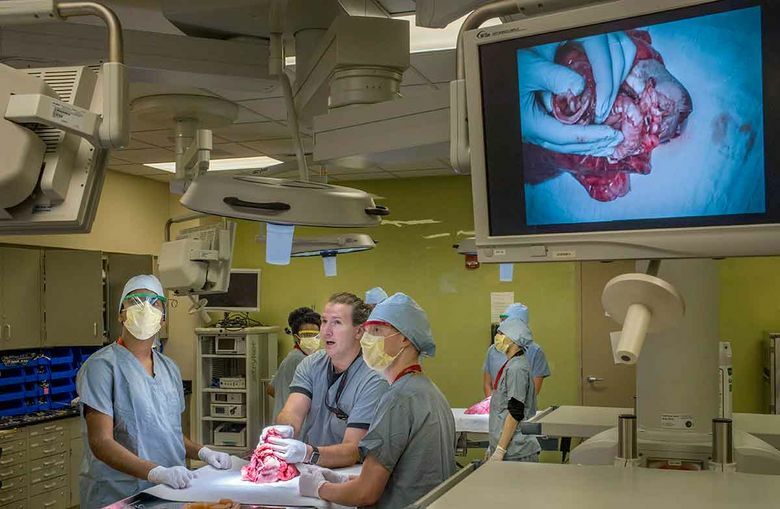 Ten students from colleges around Peoria, Illinois, peered into piles of pig innards while learning about coronary artery bypass surgery. Shannon Egli, the anatomical coordinator at Jump Trading Simulation and Education Center, showed students how to extract a blood vessel from a pig’s lung using scissors and scalpel. Sponsored by the University of Illinois College of Medicine Peoria and Jump Simulation, the two-week program is marketed to prospective medical students within 100 miles of Peoria, an effort to encourage local talent to study and eventually practice medicine in their hometown. “My mom’s a doctor in Galesburg, and she heard about the program,” he says while extracting blood vessels with his lab partner, Eric Stevens, a graduate from Knox College. The program bills itself as a great opportunity for students, who will go through an exam and a graduation ceremony at the end. 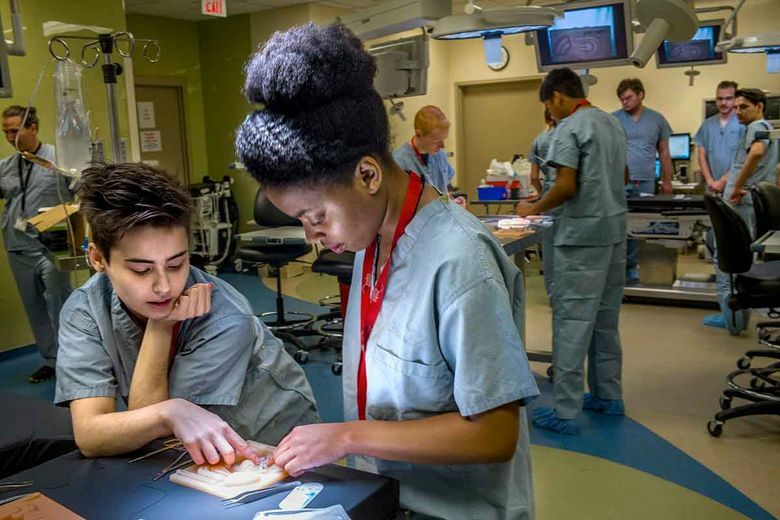 They are learning important skills that will put them ahead of their other pre-med classmates, like how to conduct a physical exam, read an EKG to detect heart problems and suture wounds. They will shadow real clinicians in multiple health care settings and use virtual reality tools to learn more about anatomy and patient care. They will also have unique learning experiences. This week students will watch brain surgery and open heart surgery being performed on a cadaver. The heart surgery will feature faux blood circulated with a pump. Vozenilek is planning to expand the program in future years. Next year there might be an offering for pharmacy students, and nursing could be offered in coming years, he says. By introducing students to UICOMP and demonstrating cutting-edge innovation, organizers are hoping to keep local talent from leaving the area.